We are starting a new year, and let’s hope this one will bring us only good things. 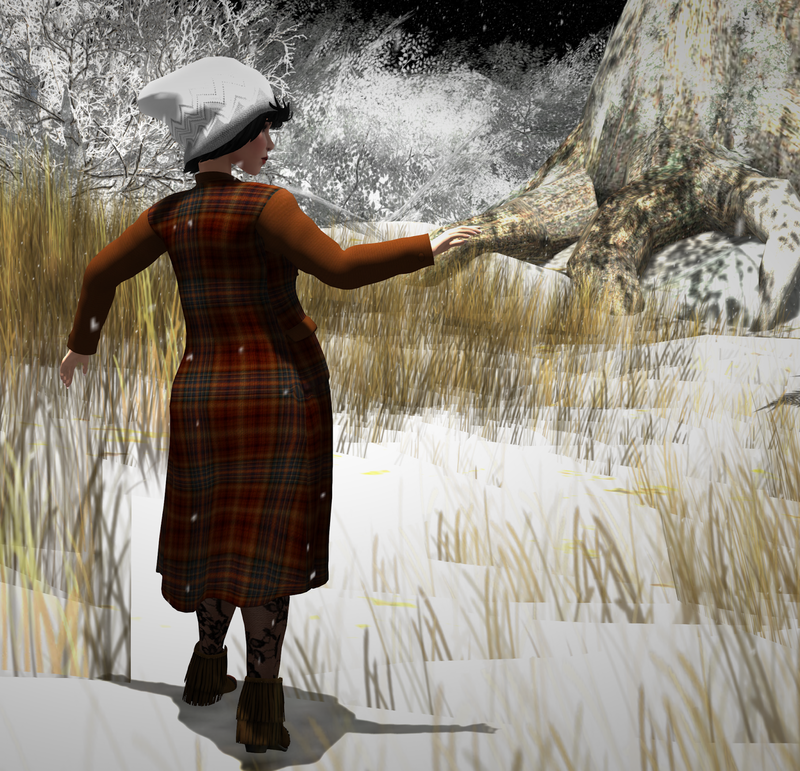 November and december have been crazily busy for me, RL and SL, so I decided to take some weeks in order to rest a bit and enjoy the fun of SL without creating much. Just spending time with friends, and exploring new places for future photographs. Now this is done, I can put myself back to work, and starting with the Urban legend fair, which started on the 22th and will run till feb, 12th. For this event I created “My winter coat”, coming in 3 colors. Colors are blue, brown and red. The main texture is a tartan and on the arms and shoulder its wool plain color. The coat is slightly opened in the front and on the collar its closed by a lovely bow. Of course there is the classic brown version. A must have in your wardrobe. As the coat is opened a bit in the front, most of you will want to wear something under, and you can of course wear meshes (but you will probably need to wear a size lower than your usual, for it doesnt show over the coat) or layer clothes. Lingery under the coat is also a super idea. You can find these beautiful winter coats at the Urban Legend fair till feb, 12th. After this, they ll be available at my mainstore of course and on the market place. For the shooting of those photos I chose to go at Scribbled Hearts . A beautiful snowy sim perfect for photos ! As usually in this blog, all the pics of this post have been only cropped, and no post process have been applied to them. I used for them the “Phototools-Build” Windlight settings (there are several ones).